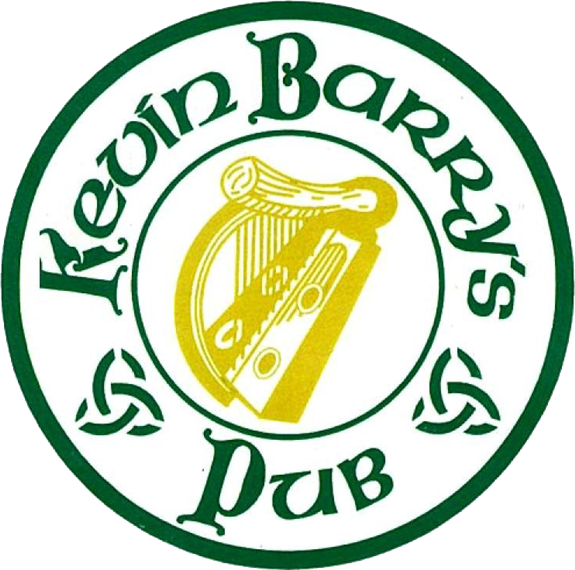 Kevin Barry's Irish Pub offers a unique venue for your special event! We offer a professional staff that works diligently to help you plan your special occasion. Our second floor* banquet hall, also known as the Hall of Heroes and Liberty Hall, offers guests a sense of exclusiveness away from the bar scene downstairs. Enjoy a breathtaking view of the Savannah River, the World War II Monument, and Historic River Street from a climate controlled balcony. And yes, the second floor provides a fully stocked bar! Kevin Barry's Irish Pub will work with your personal taste and budget to provide a culinary experience that will delight your taste buds! Due to the events taking place St Patrick's week. Please be aware the list of menus are a sample of what we can do for your event. Contact the events coordinator at kbpub@aol.com to see how Kevin Barry's Irish Pub can work for you to create a delicious menu that suits both your budget and tastes. Have you started planning your 2016 Christmas & Holiday parties? Contact Kevin Barry's Irish Pub today and see what we can do for you! Very excited to visit this upcoming Sunday & Monday. I have visited your establishment many times. I feel valued, respected, and a strong part of the Military family each and every time I walk through your doors. I want to take this opportunity to thank YOU ALL for your service that you provide to us. I was blessed to share many a drink with fellow military and other law enforcement agencies from both Canada and the United States. You welcome us with open arms and to that I thank you. I am forever grateful to have shared my son's first drink before his deployment as a Tactical Medic and it was in your pub... unfortunately he is serving and not able to be there with me this upcoming week...but I will be bringing my other favorite man to share in our festivities and show him the treasured walls of our extended families that have served. I look forward to seeing you all and sharing a toast! "Just wanted to thank you for a wonderful evening at Kevin Barry's on December 26, 2014. Our rehearsal dinner was smaller than planned (all out-of-towners), but we still had a wonderful time with excellent service. Everything was the absolute best! Thanks again for a memorable evening!" "Thanks again for your hospitality and great event! The staff, venue, and service was fantastic...Would absolutely do it again." "Thank you so much for everything. I wanted to tell you that Stephanie did such an amazing job. It was a fantastic experience and you all did such an amazing job. My father is raving over how good the food was (and that's saying a lot). I'm so sorry I didn't tell you sooner, it's been such a crazy week with moving! Thank you all for a lovely dinner! I'll definitely recommend you all for future events! "I want to thank you and your awesome staff for the fantastic service and hospitality as always! Our reunion isn't one without our time at Kevin Barry's." There are very (few) places I go that I feel like I have achieved a status of "delightful." This is one of those places. From the bartenders, particularly Brian, Holly and Chris, who know how to properly pour a pint of Guinness (I say this because most bartenders specifically do not), the wait staff, and the dark, dark environment that feels like you're in a 1930; outlaw underground meeting of the Irish resistance, to even knowing that the place is truly safe, with patrons often making sure that others get home or back to their hotels without being harassed or mugged by the criminal element downtown, Kevin Barry's Irish Pub is a room full of history and beauty, an environment that brings the gentleman out of a man, and a place that inspires good friendships - a feature that is lost on most "clubs" and bars these days. You can actually hear yourself think and hold legitimate conversations over a pint, a glass or even a cocktail. 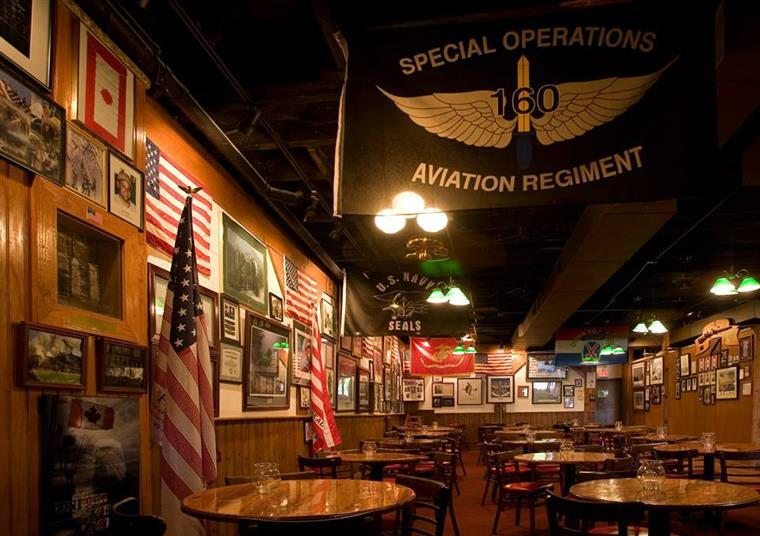 It should also be noted that the upstairs room of Kevin Barry's is absolutely devoted to the service members across all branches of military service A certain degree of reverence is never stated but absolutely observed by patrons and it is beautiful to witness. 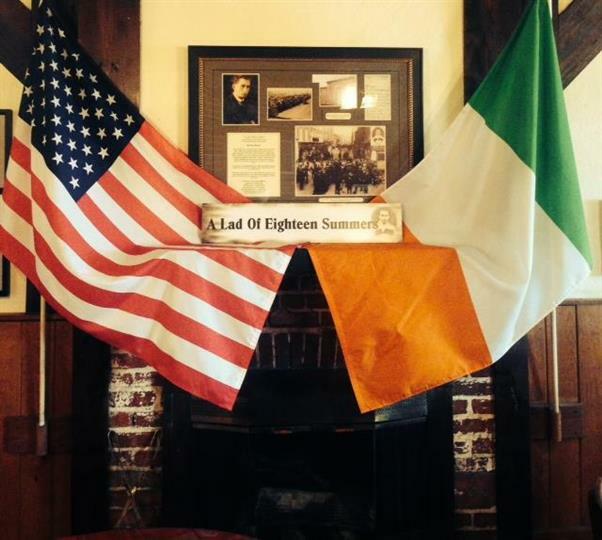 This bar is one that unites the revolutionary history of Ireland and the United States, while honoring those who have served. So I must ask: "who put the whiskey in the jar?" We always recommend Kevin Barry's to our friends that visit Savannah. It is such a great town and Kevin Barry's has set the standard for Irish Pubs!